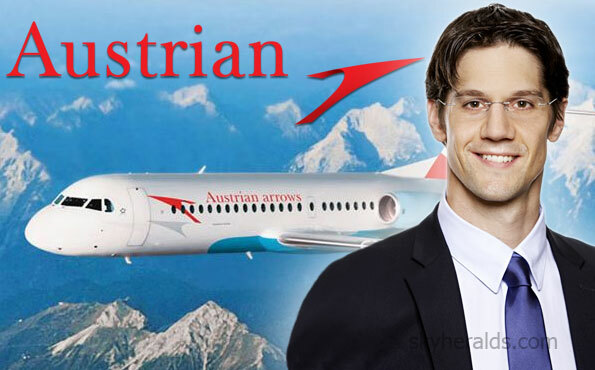 Stefan Hafenscher (35) has been appointed to serve as Head of Corporate Controlling of the Austrian Airlines Group in his position as Vice-President. Hafenscher succeeds Wolfgang Henle, who has been named to serve as the new Managing Director of Austrian Technik in Bratislava. Born in Vienna, Hafenscher has worked as a Group controller at Austrian Airlines since 2002. In 2004, he was appointed to his first executive position as Director Controlling Ground Operations. In 2009 he was asked to serve in the team coordinating the integration of the company in the Lufthansa Group. His next career step took place in 2010, when he accepted the job as Director Controlling Operations after participating in an internal program for the advancement of junior executives. He was an integral part of the team handling the restructuring of the airline. Stefan Hafenscher started his professional career in banking in the controlling department of sImmofin in the year 2000. The father of one daughter is a graduate of the University of Applied Sciences in Vienna in the field of finance, accounting and taxation. “I am very pleased with this appointment“, says Heinz Lachinger, CFO of the Austrian Airlines Group. “It shows that we have good junior executives working here at Austrian Airlines“.